Easy DIY Cookie Flower Bouquets - So Festive! You’ll love these simple DIY Cookie Flower Bouquets– perfect for a kids craft, Mother’s Day gift, or centerpiece at your next Spring or Summer gathering. 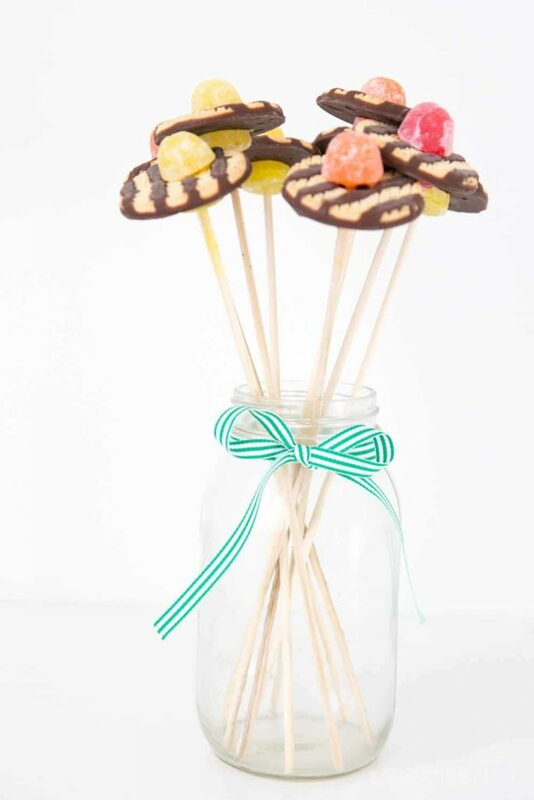 These cute DIY Cookie Flower Bouquets are so fun and easy to make! I’ve made these for centerpieces for Easter before, but they are also great for a Spring or Summer food craft with the little ones. Or, how about making them for Mother’s Day? The possibilities are endless! 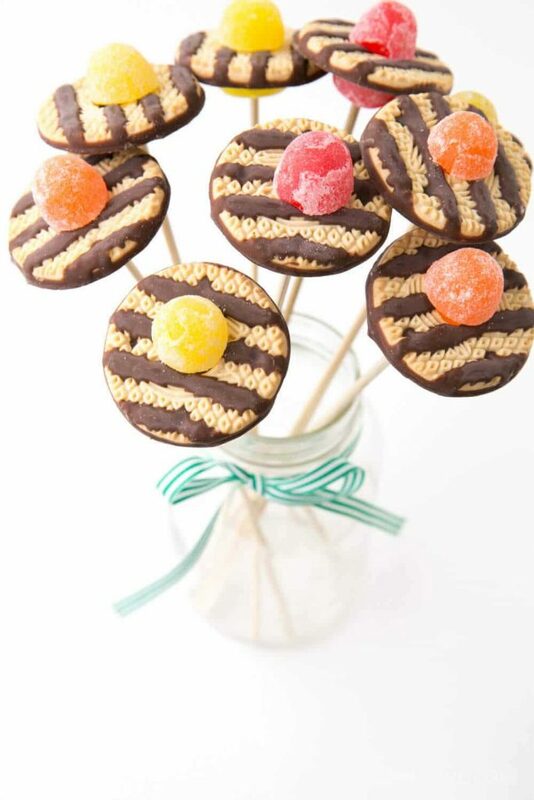 You can choose a variety of cookies for your bouquet, or just stick with Keebler Fudge Striped. See a homemade cookie version here. Choose your favorite cookies. For simplicity’s sake, you can choose a store-bought variety. I’ve also made these with homemade sugar cookies which are super cute too cut into flower shapes, but its makes the process a bit more time intensive. So you choose which way to go! If you choose to make homemade cookies, frost them and make sure the frosting is set up well before moving on to assembling the bouquet. Either way, make sure the cookies have at least a small hole in the center. Then cut the large gumdrops at 1/3 up from the bottom. Repeat until all gumdrops have been cut. 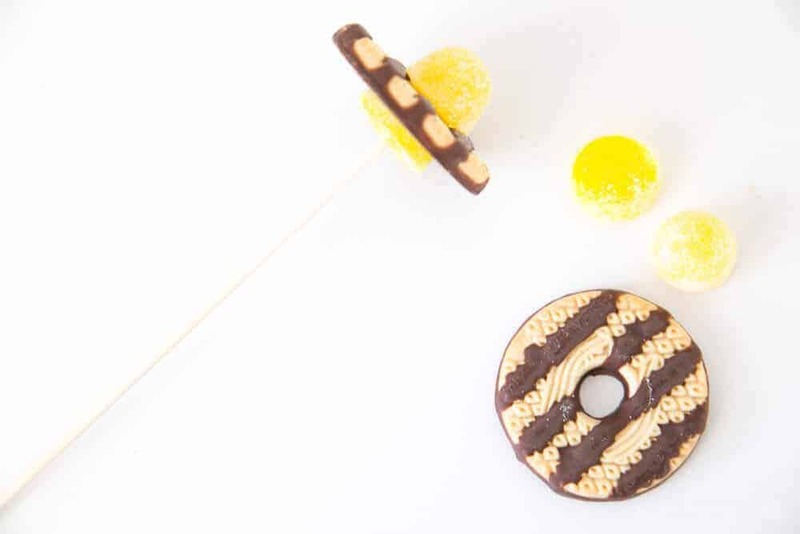 Take the wooden skewer and poke it through the bottom piece of the gumdrop about 1/2″ down the stick. Place the cookie on top of that piece. 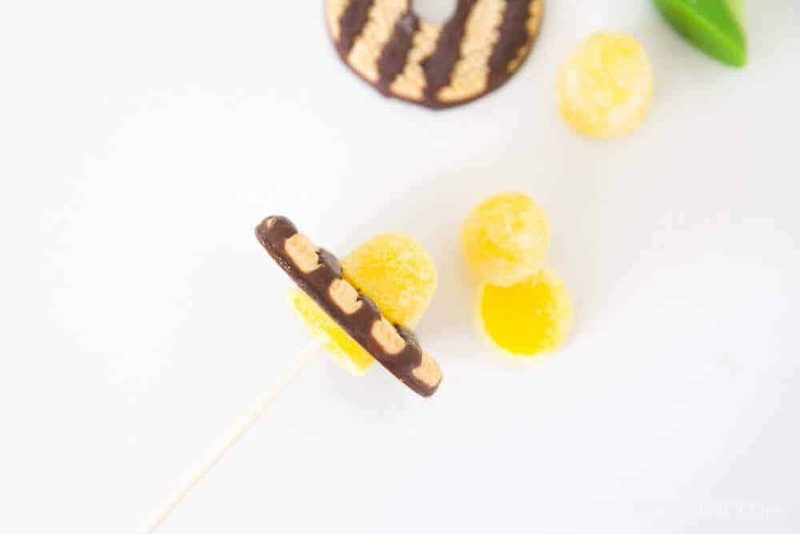 Then place the top portion of the gumdrop on top. Make sure the stick is not sticking out of the top! Repeat until all flower cookies have been assembled. 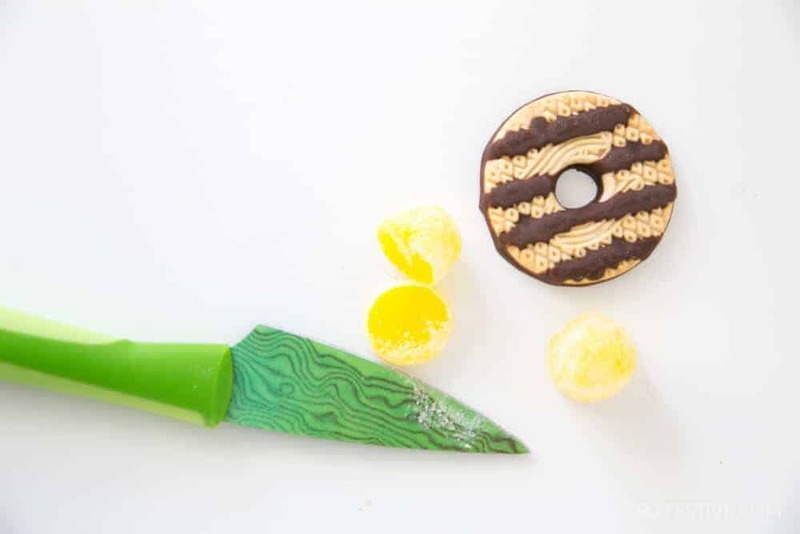 Assemble as many cookie flowers as you’d like. Once you are finished, arrange them in a large glass mason jar! Just look how pretty and happy those are! 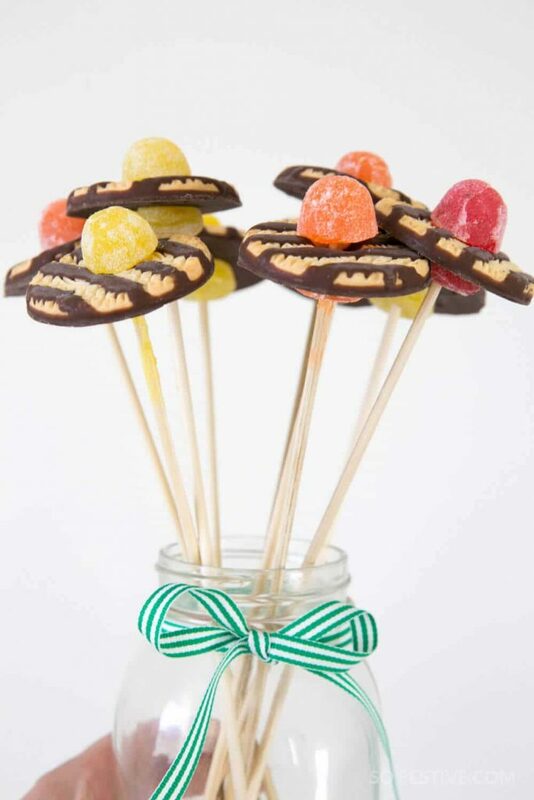 You can take them as a gift, use as a centerpiece, or snack on them with kids! There you have it! Cute and edible Flower Bouquets! Learn Something New Day + Video!